If your skin is bumpy, blotchy, or your tone is uneven, PicoSure laser skin rejuvenation may be the perfect solution. 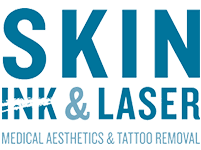 Men and women in Fayetteville, Arkansas, rely on Skin Ink & Laser for elite skin care and aesthetic services. To find out if PicoSure can revive your skin and improve your appearance, call for an appointment or use the easy online scheduler. What issues does PicoSure laser skin rejuvenation fix? How does PicoSure laser technology work? Many skin care lasers rely on heat to do the restorative work, but the innovative PicoSure technology draws on light energy to rejuvenate your skin. Short, intense bursts of energy disturb the cells in your skin and induce the production of new collagen and elastin. Why should I choose PicoSure laser skin rejuvenation? Where on the body does PicoSure laser skin rejuvenation work best? How many PicoSure laser treatments are needed? PicoSure treatments are popular because they’re so effective and work so quickly. You’ll see smoother skin immediately after your very first appointment. Three to four treatments are advisable for optimal aesthetic results. Appointment intervals are two to four weeks but can vary according to your treatment plan. The exact number of sessions you need is determined at your consultation. This is one of the best parts and a primary reason why men and women love PicoSure technology: The bursts of light energy are delivered rapidly, and with extreme intensity, so you’re in and out of the office within 15 minutes. How painful is PicoSure laser rejuvenation? It doesn’t hurt at all. Most men and women say it feels like a mild pinch or the snap of an elastic waistband. To improve your skin’s firmness and minimize the appearance of fine lines and wrinkles, consider PicoSure laser skin rejuvenation. Call the office to book a complimentary consultation or use the scheduler to make your appointment online.